Slow week. Lots of unknown titles there too. May, other than Golden Week, has been a very slow month. Hopefully it picks up soon. 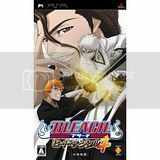 Seems those PSP games are lost. 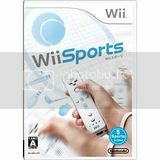 Based on Wii Sports, looks like another 50K week or so for Wii hardware..I thought production was increasing? Still recovering from Golden Week perhaps? No Forza? Thought there were at least 12,000 on the Japanese leaderboards. Too bad. Very slow week. You should post the pics of the top ten games, instead of just five. Forza @ #11. That's very good! Ouendan 2 @ #27. Hopefully it's just the shortages. Good Lord! NSMB just keeps on going and going and going! Forza sold about 10k by Sunday apparently (edit: seems like 15k from its chart position). There's been another 4 days pass since then, and word of mouth seems to be good, so it may have picked up a bit this week. Ouendan is down to no. 27, I'd actually say it's due to a lack of stock and I expect it'll jump up the charts a bit next week. Forza 2 in a 11 as well, probably a debut of 18k. Wonder if it bumped the 360 up any bit, might make for an interesting thread if it did. Based on Wii Sports, looks like another 50K week or so for Wii hardware..I thought production was increasing? Hopefully they're shipping a greater percentage to NA and EU. When the new production facilities get up to speed, the shipping time to Japanese stores will be very short. ALMOST MAKE IT THE TOP 10!! 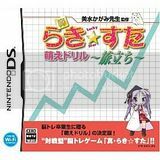 LOL the lucky star game looks like some touch generations game. Scared of DS boxart or something? Nice showing. SOOOO close to the top 10. Well if you compare this to PS2 era, then this would be a good week. Even 10th spot isn't that low. But if we're to compare post-ds-era, then yeah, its poor. ALMOST got a 360 game in the top ten! That would have been fun. Did that Raven Forest game come out of nowhere, or what? 900K in one week and it can only sell 3.6 million over the next year! Mario just isn't a powerseller, I guess. The sudden realization that NSMB has sold 4.5M copies in one ****ing year is quite the shocker. I need to lay down a bit. The third game on the charts? Lucky Star Moe Drill? 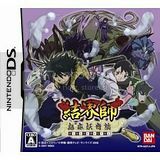 A "training" style game based on the manga/anime? Ouendan and Odin Sphere went right into the toilet, wow. It'd be interesting getting a console vs. handheld breakdown. I love when I forget it's Wednesday night. Ouendan 2, for shame! Supply constrained, right? How many other games can say, they are doing The Beatles kinda longevity. 1 Year and still in top 10. I hope it does out sell SMB. That would be nice. Does that 6 million figure include the NES classics version? Does that 6 million figure include the NES classics version? No, it's just the NES version. Also, that 6 million figure is from ioi's site, though that probably just means that was what was shipped to Japan by Nintendo. His older stuff should be closer to reality than anything in the past few years. Anyone have an actual document from Nintendo saying how many they shipped to Japan? The post is bloated enough when he puts in all the releases next week and other information, no need to add more features to it (especially if they are as unnecessary as boxarts). Many don't pay attention to half of it usually because of how big it becomes already. We constantly still get people asking questions like what is being released next week. With those Forza sales.....crossing the streams anyone? Released on May 25th 2006 NSMB had the biggest launch day and week for a DS game in Japan (now beaten by my Pokemans) and is now the 2nd biggest selling DS game worldwide - and the highest to only have a single version (woof). Looking over the years worth of sales sees some interesting patterns. The two week launch period totalled over 1 million units and sales declined steadily up to week 14 where sales almost halved. 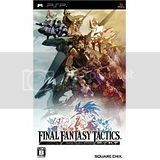 This was due to the release of FFIII in Japan and sales declined at a slightly faster rate from this point up until Xmas. Week 30-34 sees Mario back near the top of the chart due to the insane amounts of DS hardware being sold, and from here up to golden week sales are averaging 25k per week. 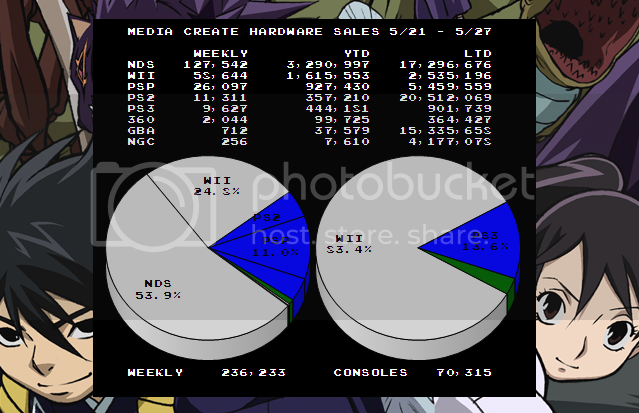 Golden week sees 50k sales and then in week 52 the lowest confirmable sales week since launch (due to a slow market). Is this the end for Mario? Doubtful - wherever DS unit's are sold Mario will rise again, especially with new DS colours on the way 4.5 Million is a sure thing, and 5 million likely by this time next year. Mean weekly sales (up to week 52): 85,745 units! I'll update this with the 53rd week of sales as soon as I can. Wow, was that the largest single week for a game in Japan? Has any game (and I stress game, not combining 2 Pokemon games) ever sold 1 million in Japan in any single week? As long as it can continue at this steady pace, I think NSMB has a real possibility of outselling SMB (in Japan, I don't see it outselling SMB's 30+ million worldwide since SMB was bundled with the NES). NSMB looks to hit 4.5 million next week, and it's been a year since it's release! Does anyone know how many weeks in the past year has NSMB NOT been in the top 10? Has it at all? Any links to said week MC topics? Rediculous. There is absolutely no need to release another 2D Mario anytime in the future, or at least, not until the next hardware revision. No PS3 game in sight, yet the 360 makes an appearance. I know Forza 2 is a big release, but WTF is Sony doing? I wonder if the PS3 didn't even outsell the 360 by 2 to 1.